← Look what October’s brought us! 12 brilliant play ideas for you, for your dog, for great teams! In 2016, Good Dog Practice is featuring a dog-friendly activity once a month, by courtesy of guest author, Monika Stanzig (IDBTS, certified by Sheila Harper). These are not meant as tasks or training ideas. Rather, they are a way of sharing relaxed, quality time together. Your dog can gain confidence by doing problem-solving activities as independently as possible, while enjoying your support and attention. Just for fun! Consistent with the values of Good Dog Practice, we feel that our dogs are not obliged to be interested, nor should they be pressured to complete a task. If they prefer to do something else or just rest, that’s just fine! Maybe another time! 🙂 A tip: many dogs take a pause from a problem-solving challenge and come back to it later. If the dog looks for your support, you can of course assist him or her. Take the smallest box, put a delicious-smelling dog snack inside it and close the lid. Place this box in the box the next size up. 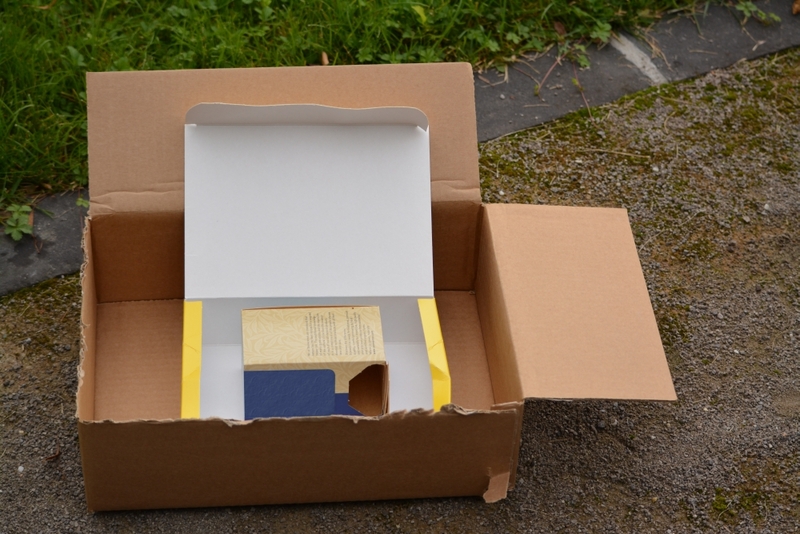 Place another treat on the inner box, and close the lid on the outer box. Now it’s the next box’s turn. "the box in the box"
The treats go in the box. This activity can be quite challenging for dogs, so use fewer boxes to start with and support your dog if he asks you to. What smells so good here? Nelly’s discovered the first treat. 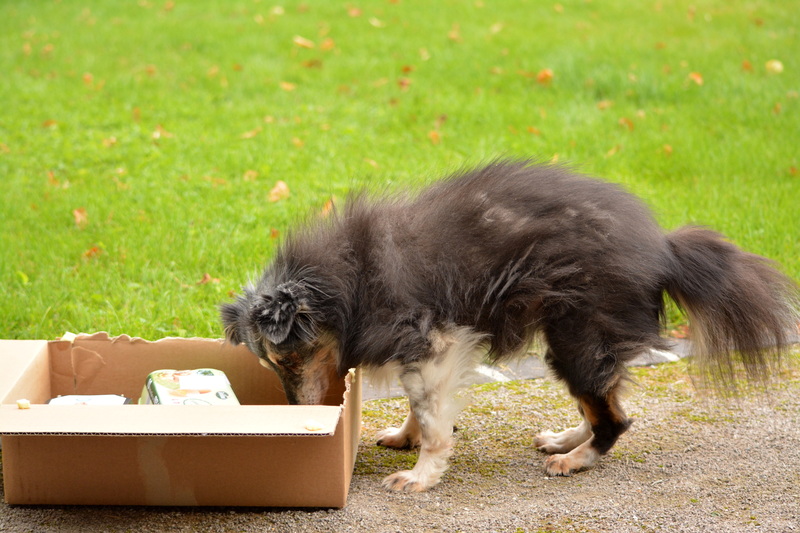 Dogs can get their head stuck in long, narrow packaging such as müsli boxes. So please do not leave your dog alone while doing these activities. 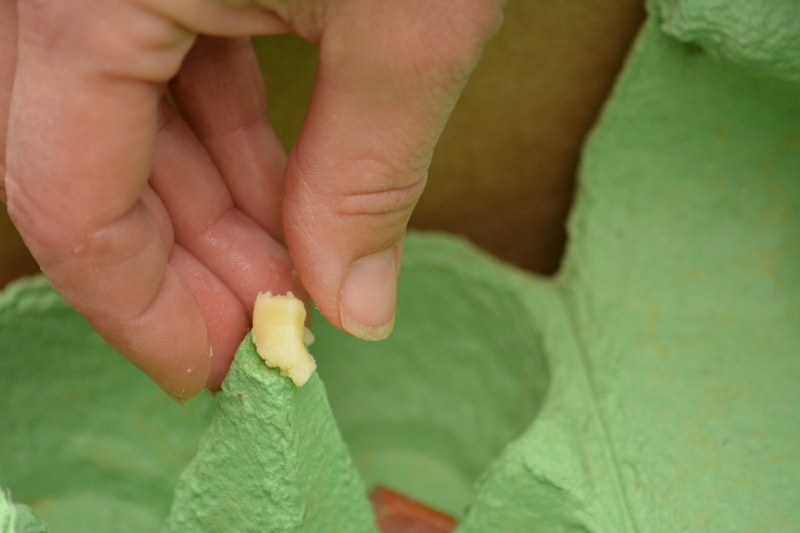 Keep an eye out for sharp corners or protrusions and remove them if necessary. 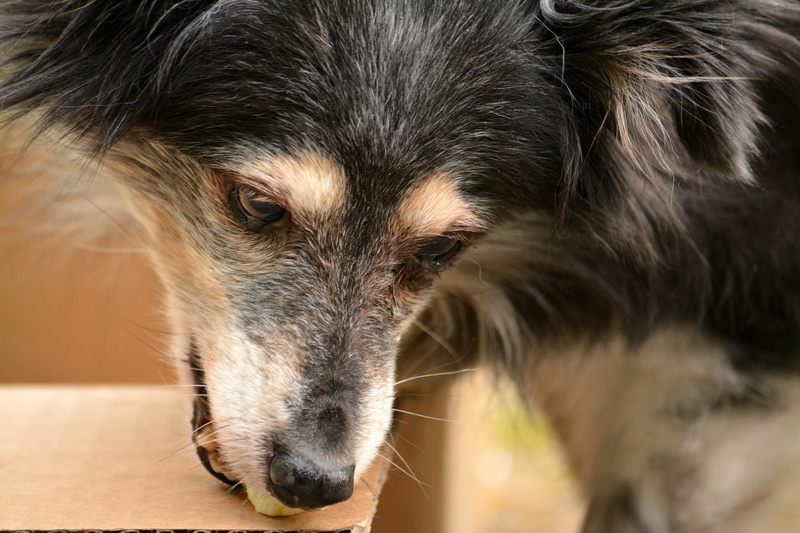 Many dogs just love tearing parcels apart, so this is a great chance to let them enjoy doing it! This entry was posted in Dog-friendly activities. Bookmark the permalink.